We presented our business partner – travel agency CARPATICA on our website in February 2014 http://wilderness-society.org/new-business-partner-travel-agency-carpatica-slovakia-2/ . CARPATICA offers wildlife watching and nature tours such as a massive Cranes Spring Migration, in Eastern Slovakia. 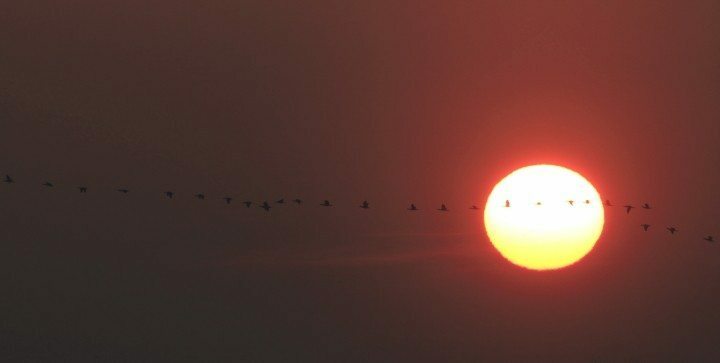 Today we would like to highlight this unique experience and CARPATICA product for 2015 spring season: Observation of Spring Cranes Migration at Senné, Slovakia. Watching cranes in Slovakia? When driving to eastern Slovakia few weeks ago we were asking ourselves what we should expect from this kind of experience. We have been looking forward to take some pictures mainly, to spend some time outdoors, relax. But no one was prepared for what we have been experiencing during those two days. The Senné depression is very well known for what it offers to birdwatchers. But in the special short time of the season it offers unique show of thousands of common cranes (grus grus) using this area for resting and feeding on their spring journey to nesting areas in tajga. Cranes stop at Senné location only by spring migration. They are not landing here in the autumn season when they use Hungarian location of Hortobágy for feeding and resting. I am glad that you like that!! !